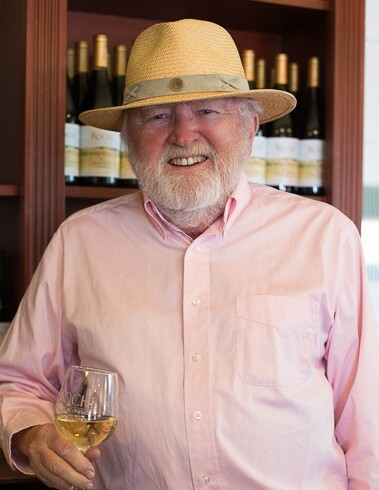 Longtime Sonoma Valley resident, physician and Roche Winery co-founder, Joseph G. Roche M.D., passed peacefully at his home Monday, April 15, with family at his side. He was 79. Joseph was born in 1939, the youngest of three children, to Gerardine, a Los Angeles school teacher, and John Roche an FBI Agent. Not long after Joseph’s birth, Gerardine and John moved their young family from East Los Angeles to the La Habra Heights, where they also farmed a small avocado orchard. Growing up in La Habra, Joseph would spend his free time exploring science, as well as the fishing holes in and around Mt. Whitney with his brother Jack. He excelled in school, especially in all subjects related to science. While attending the University of Southern California, Joseph decided to put his passion for the sciences towards the medical field after graduating in 1961. In 1965 he received his medical degree from Creighton University in Nebraska. It was also at Creighton, where he met his wife, Genevieve, who was also attending medical school. After their graduation from Creighton, they moved to San Francisco where they were married and Joseph served as a Resident in Pathology until 1970 at the University of California San Francisco (UCSF). That same year, Joseph began his medical practice with the Pathology Department at St. Mary’s Hospital in San Francisco. Joseph spent the next 43 years practicing pathology at St. Mary’s, both serving as their Chief of Pathology and Nuclear Medicine as well as a Clinical Professor of Laboratory Medicine for UCSF. Joseph’s many talents went far beyond the skills he used in his medical practice. Although he was a doctor in a big city, it was Sonoma Valley where he and his wife settled and called home for 43 years, and it was agriculture that shaped their life there. On their Southern Sonoma Valley ranch they farmed beef, olives, wine grapes and in 1982 together they founded Roche Family Winery & Vineyards. He was very involved with the day to day operations of Roche Winery. Joseph entertained thousands of Roche Winery customers throughout the years and many became close friends. Today it continues to be a family-run business with Joseph’s children involved in all operations, as they prepare to open their new southern Sonoma Valley Winery, after 37 years in business. Despite all of Joseph’s agricultural achievements, perhaps the one he is most proud of, is successfully growing both Haas and Fuerte avocado trees at his home in Sonoma, and they continue to vigorously produce today. Joseph was an avid fly-fisherman, fly tyer, and waterfowl hunter. After raising his family of four children, and retiring from St. Mary’s Hospital, if it was not duck hunting season, Joseph was chasing trout. 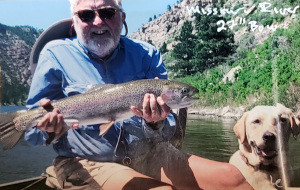 He chased trout all over America yet his favorite waters to fish were here in California: the lower Sacramento River and the Truckee River stretch through the San Francisco Fly Casting Club where he also was a member. For more than forty years, he cherished every morning sunrise and duck hunt at Butte Lodge Outing Club, as well as the camaraderie of the members there. After his wife’s Genevieve’s passing in 2012, Joseph was able to find happiness again with his wife Patricia, marrying in 2015. They enjoyed their time together traveling, dining at their favorite restaurants, and entertaining family. Joseph was preceded in death by his sister Mildred and brother Jack (Karen). Joseph is survived by his wife Patricia, daughters Mara, Sara (Kyle Killeen) and Carrie (Chris Nelson), son Brendan (Colleen), and his many nieces and nephews, and beloved grandchildren Elizabeth, Kara, Clare, Liam and Genevieve. A Rosary Service will be held in Joseph’s honor Tuesday, April 23, at Duggan’s Mission Chapel in Sonoma, at 5:30 PM. Joseph’s Funeral Mass is Wednesday, April 24, at St. Francis Solano Church in Sonoma at 11:00 AM. In lieu of flowers, please make a donation in Joseph’s honor, payable to St. Vincent De Paul, where he volunteered for many years. Donations may be mailed to Roche Winery, 122 West Spain Street, Sonoma, CA 95476. There's still time to send flowers to the Memorial Gathering at the Duggan's Mission Chapel from 5:00 PM to 6:00 PM on April 23, 2019.